Ladbrokes Casino has become the first online casino to release Casino Charms – this shiny video slot sees you join croupier Roxy for an exhilarating experience. Powered by Playtech, Casino Charms is a 6 reel video slot with 80 paylines. Playable from just 20p per spin on all devices, it is shiny has is set in Las Vegas. With poker hands, bars, casino chips, lucky 7s and diamonds on the reels, it benefits from 3 bonus features. The Roxy Respins feature gives you streak respins – new Roxy or wild symbols will be held with 2 respins awarded. Then there’s the Casino Charms Bonus & Free Games feature where you spin the bonus wheel to win up to 25 free spins, up to 15 free spins with 2 wild reels or the Mega Respins feature with 8 respins! The Roxy Respins feature triggers more frequently in the free spins too. Beautifully designed and different to what’s already available from Playtech, this game can certainly provide big wins – up to 800 times your bet on every spin/free spin. 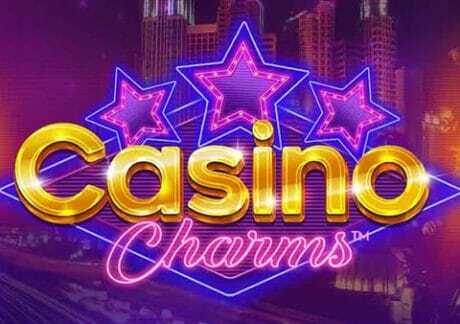 For more details, visit the Casino Charms video slot review. You can only play Casino Charms right now at Ladbrokes Casino – with Playtech and Quickspin video slots, they are an extremely reputable company with fast cashouts, 24/7 customer support and betting shops throughout the UK. Popular titles you can play include AP McCoy: Sporting Legends, Anaconda Wild, The X-Files and Terminator Genisys. If you head to their ‘Slots’ and ‘Games’ tabs, you can find video slots from NetEnt, WMS, Blueprint Gaming, Novomatic and IGT amongst others. New UK customers can claim a massive 100% first deposit bonus up to £500 – deposit from £20 to £500 to get a 100% match (i.e. deposit £500, get a £500 bonus).